We enjoyed year-end party with lab members. 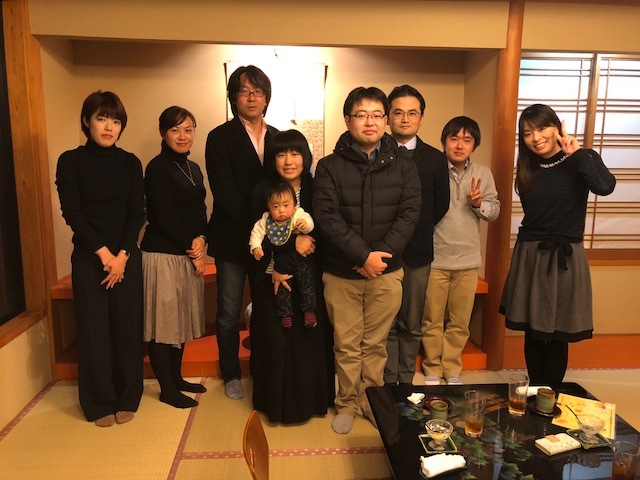 In the 2017 year-end party, Dr. Hanada joined in it with his family, who will join our lab as a visiting post-graduate student next April from Nagoya. Thank you for everything you did for our lab this year! I hope that you will continue to help our lab next year!